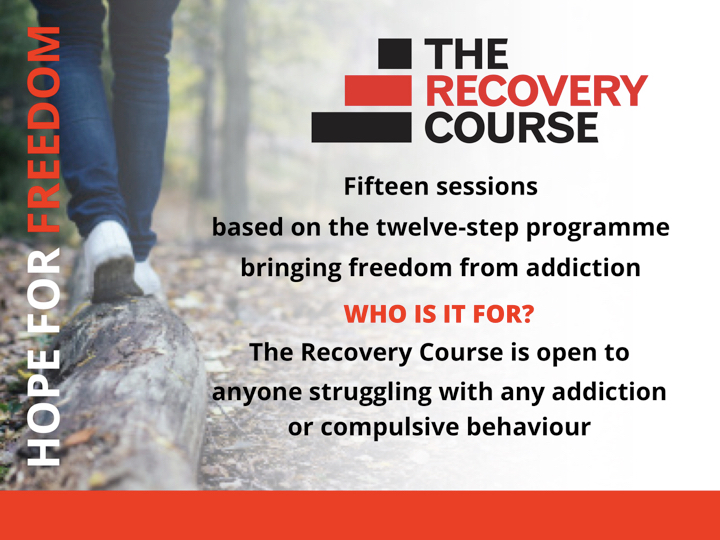 The Recovery course is open to anyone struggling with any addiction or compulsive behaviour. It’s 15 sessions based on the 12 step programme bringing freedom from addiction. If you or someone you know needs freedom, contact the office – 01245 255775 or contact Liz Jevons here to register for the course.